This post has long been overdue. 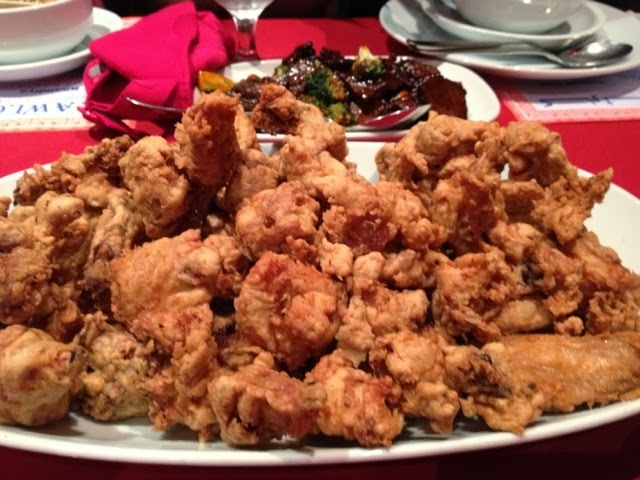 Let me introduce you to our favorite restaurant - Kawloon Chinese Restaurant. This restaurant is hidden behind the area of Choitram Khalidiya. It does not look fancy nor and to be frank, its ambience is just one of those typical Chinese restaurants here in the UAE, meaning it is small, dark and crowded. Let me tell you this, I usually dine not for the ambience but rather for the food and that is why this is our favotire restaurant. The food tastes amazingly good at such an affordable price. Whenever me and my family go to this restaurant, we usually order these, from soup, appetizer to entree. 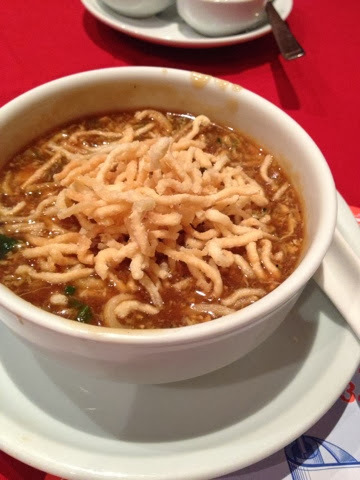 For the soup, we always order this Chicken Manchow soup with crispy noodles on top. The soup is rich, thick and creamy. The noodles also offer the kick and typically give the soup its kick. It is not boring to eat compared to other soups, as there is something to nibble from this soup. 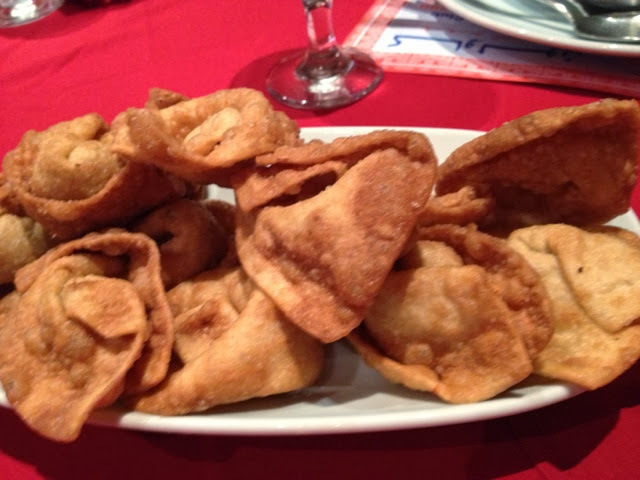 Next is the fried dumplings. I am not a fan of this, but my kids are. They love the crunchiness of the dumplings; however, I say that the filling is lacking. I thik that the wrapper is too much and the filling is too little. 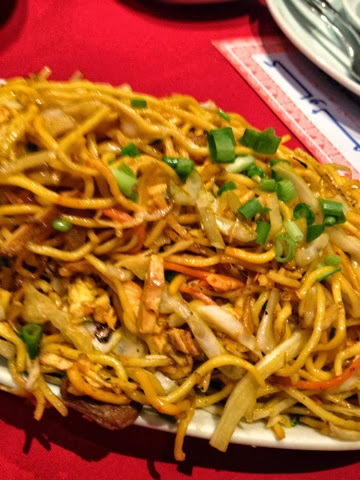 The Singapore noodles has a distinct flavor compared to other oriental noodles. I love the thickness of the noodles itself. 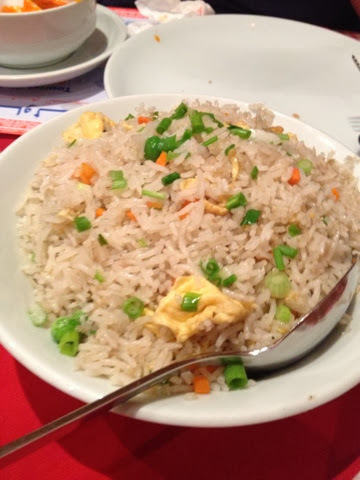 It does not taste typical Chinese. It is spicy and crunchy that is why we always have this on our Kawloon table. Oddly, it tastes better if you drizzle a bit of spicy vinegar on it. Their fried chicken is to die for. I do not know what herbs and spices they are putting on this chicken, but I can finish a whole chicken if given a chance, hahaha! My kids love this and always ask for it. You have an option to make it spicier too, if your tastebuds are longing for something spicy. 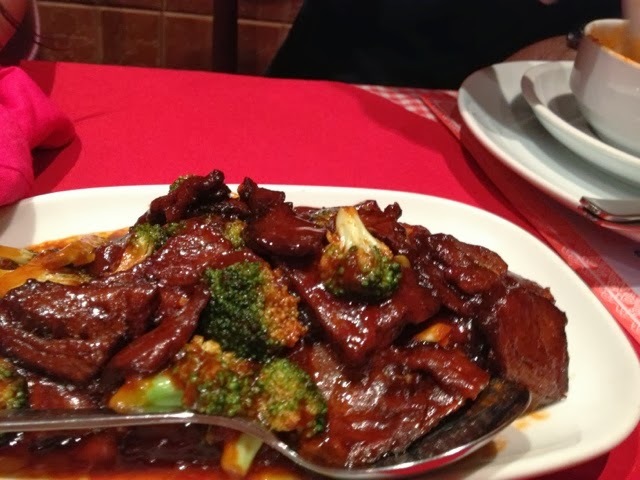 Lastly, this Kawloon special is made up of beef and brocolli but with a different sauce. It is not the typical one with oyster sauce. It is somewhat sour and salty to the taste, but the mixture was so good we ended up always ordering it whenever we're at Kawloon. If you are looking for great tasting food that is very affordable, I suggest that you give Kawloon a try.